Between the 22-26 January 2018 was held ECARS 3rd technical workshop. 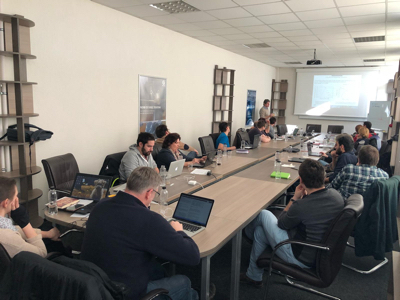 The subject of this workshop was data synergy and exploitation: correlation and synergistic analysis of atmospheric data from different sensors and platforms, advanced data products and climatology. 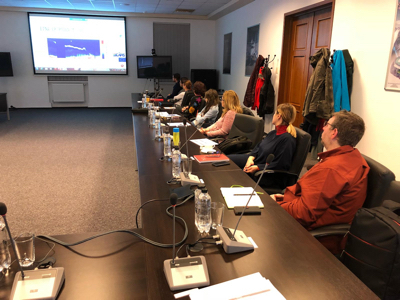 Talks were given by CNR – IMAA and DLR-IPA experts while the workshops was addressed to researchers from INOE, National Institute for Aerospace Research Elie Carafoli, Faculty of Environmental Science and Engineering – “Babeş-Bolyai” University, and University of Galați.